A £75 deposit is payable on booking. All fees to be paid 8 weeks ahead of holiday. All duvets and pillows provided. Beds can be made up prior to arrival for a small additional charge. The full cost of your holiday must be paid no later than 8 weeks prior to your holiday commencing. Park passes are not included in price but available from reception when checking in - prices from £18-£42 per caravan depending on dates of stay. The caravan will be ready from 4:00pm on the day of arrival and should be vacated by 10:00am on departure day. Manor Park Holiday Park in Hunstanton, on the North Norfolk coast, has received Tripadvisor's Certificate of Excellence for the third consecutive year. 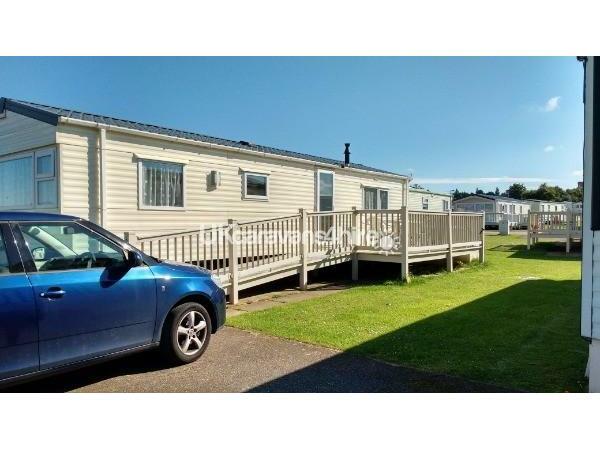 Immaculate privately owned 6 berth caravan. 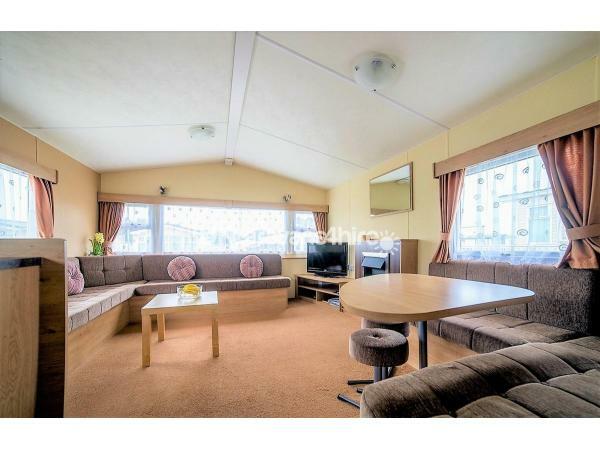 2 bedrooms (1 en-suite), main bathroom with shower, pull out fully sprung double sofa bed in lounge. Combi-boiler provides hot water and central heating, fully double glazed, underfloor insulation for colder weather. Quiet owners area of the Park. Essentials pack provided at no additional cost. 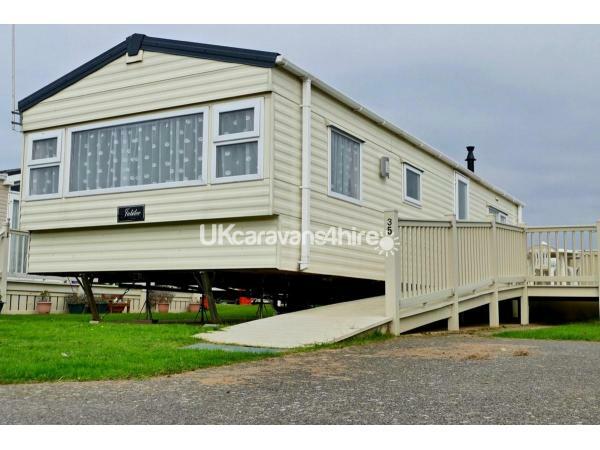 The external decked area is orientated E-W and is in the sun all day from morning to evening. Chairs are provided and there is a large table that seats 6-8 people. Double tarmaced car space. There is ramp access from the car parking area and no steps. 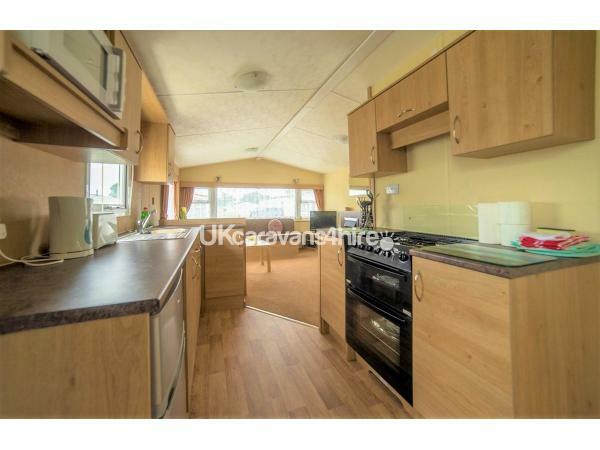 Open plan lounge area, fully fitted kitchen, including a family sized gas cooker, and a dining area adjacent to the kitchen. Full-size TV, microwave cooker, fridge and iron. 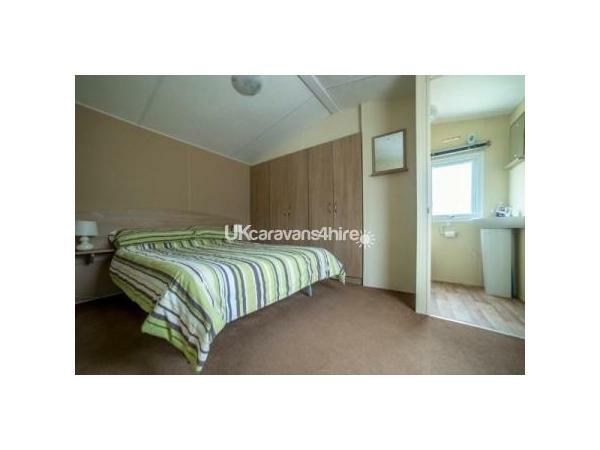 The main bedroom has two large floor to ceiling wardrobes and en-suite facilities. 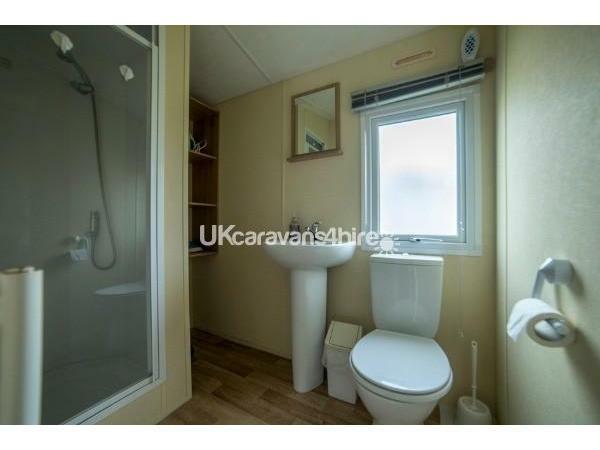 There is also a spacious bathroom with WC, pedestal wash basin and a separate shower cubicle. 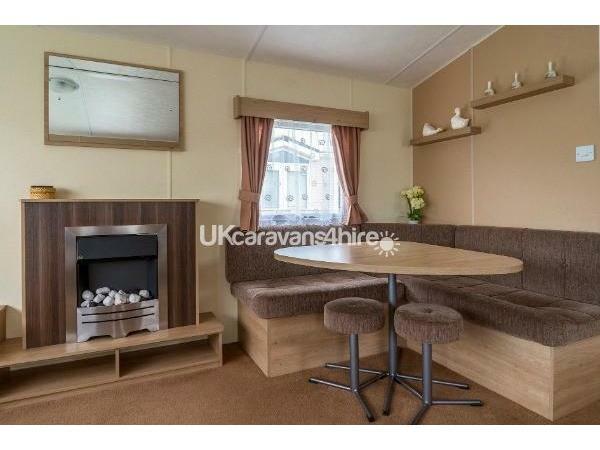 The caravan is both comfortable and spacious. 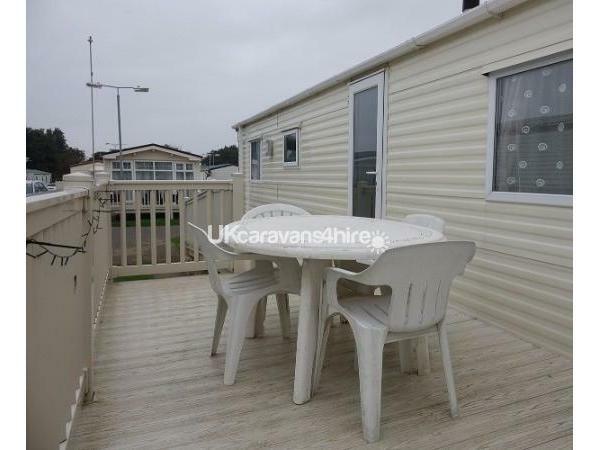 This caravan is in a quite owners area of on the award-winning Manor Park Holiday Village in Hunstanton, on the North Norfolk Coast. It is 3 to 4 minute walk to the clubhouse, pools and central facilities. Recent new Indoor swimming pool and modern changing rooms/lockers + Park Wifi available. 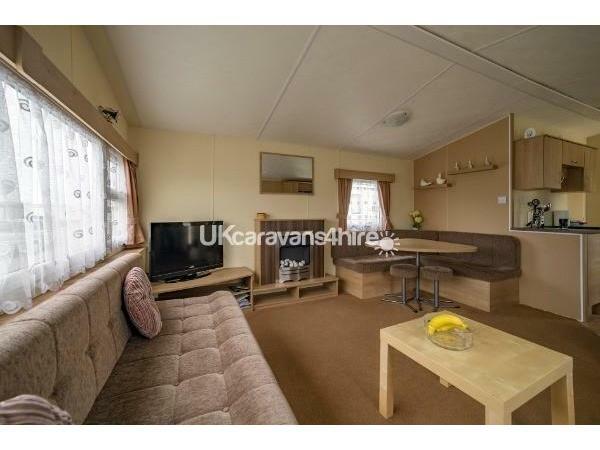 Caravan available 11 months of the year.